Angry Orchard Hard Cider is embarking on its first American collaboration, working with Vermont-based Eden Specialty Ciders, which is known for its sweet ice ciders. The first collaboration cider, Understood in Motion 01, is a semi-dry cider featuring an overripe, baked apple flavor and notes of honey as well as a light floral aroma. 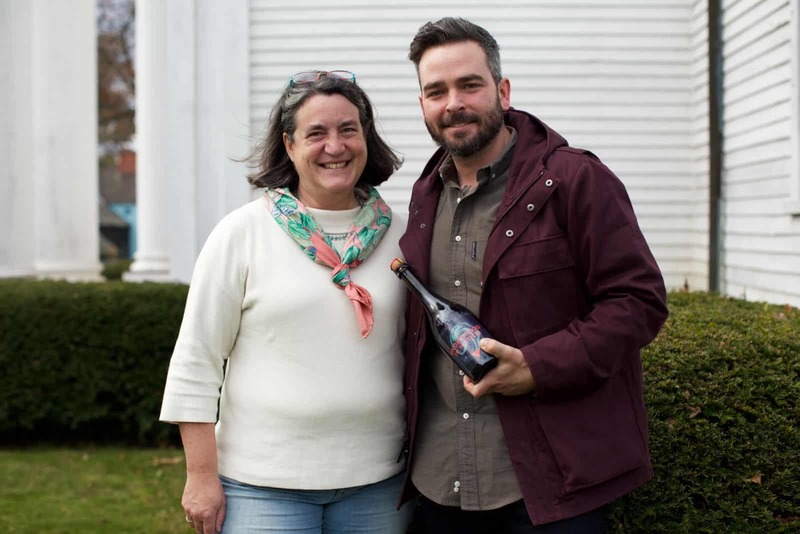 The cider collaboration came to fruition when a chance meeting between Ryan Burk of Angry Orchard and Eleanor Leger of Eden Specialty Ciders at a cider event resulted in a discussion regarding the absence of many American cider collaborations. This is where the idea to produce Understood in Motion 01 was born. The cider brings together the ingredients and techniques of the two cideries and uses Vermont apples. Eden was responsible for pressing the apples and fermenting the juice, and Angry Orchard took over from that point by further fermenting the juice slowly to dryness and aging for 6 months. At that point, Eden and Angry Orchard both took part in the final blending and added in a three-year-old ice cider courtesy of Eden. This specialty cider is currently available for purchase for $25 at Angry Orchard Innovation Cider House in Walden, New York. Even better news? The next Understood in Motion cider installment is currently in the works.